If there’s one thing I am a collector of, it’s sunglasses. They frame and complete a look possibly better than any other accessory. 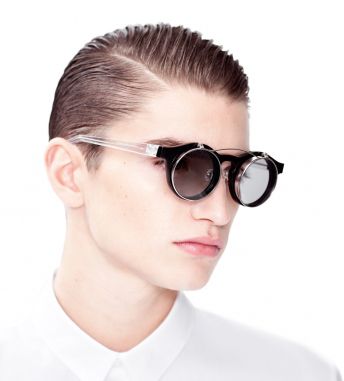 I love the variety of new shaped frames and lenses, ranging from futuristic styles to retro updates and sport luxe. Here I’ve narrowed down the selection to the trendiest styles dominating this summer. 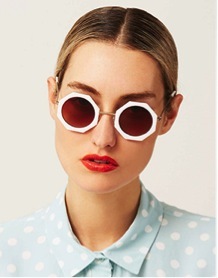 Possibly one of the most popular shapes this summer, round shaped sunglasses return in many shapes and forms. 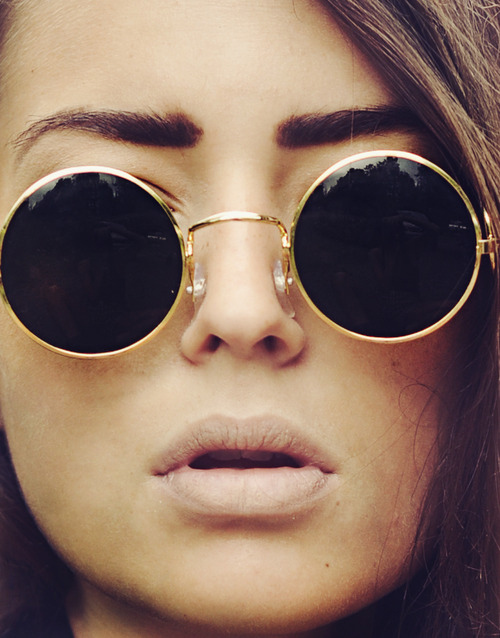 From the 60s mod shapes to the 90s reflective lenses, thick rimmed to the drop lense Clubmaster, round shaped sunglasses have made a massive comeback in endless combinations. Hybrid shapes and updates are some of the most prominent, giving an updated version on styles of the past and adding some future forward minimal additions. The classic catseye is also being seen in an updated hybrid of different shapes and combinations, ranging from the beautiful classic peaked lense to the thick rimmed catseye frame in extreme shapes. 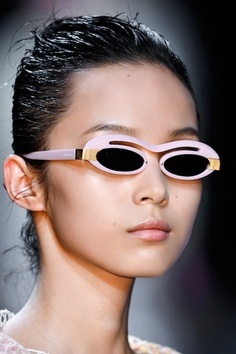 Alexander Wang’s bold catseye sunglasses show the more extreme version of this shape while Bulgari’s Le Gemme Primavera sticks to the classic vintage catseye style of past decades. 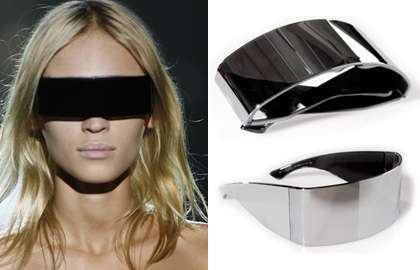 From Maison Martin Margiela’s updated Star Trek style to Nina Ricci’s slimline shades, a sci-fi element is definitely present for Spring Summer ’13. 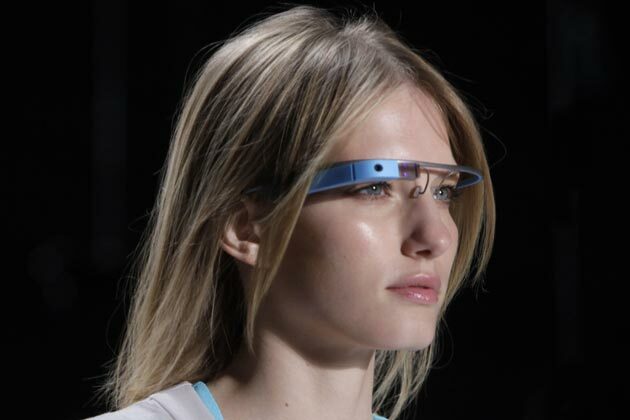 Diane Von Furstenburg took it a step further by using Google’s Google Glass glasses on her models so that they shot footage from their point of view whilst walking down the catwalk, proving how fashion and technology can create a functional merger. 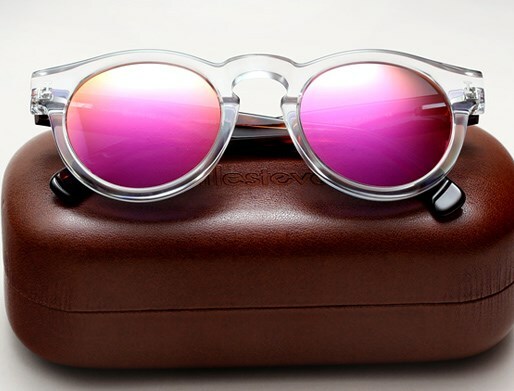 From the launch of Super’s Cove collection surf range to Illesteva Leonard’s clear framed beauties, mirrored sporty shades are what the beach babes covet. 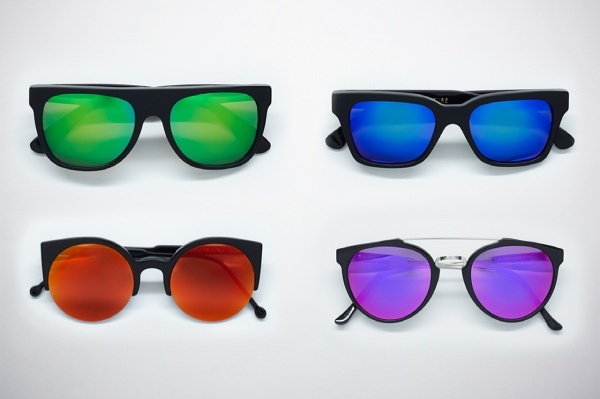 From updated transparent and printed wayfarer frames to polarised reflective lenses in a multitude of colours and shapes, sports outdoor frames and finishes are a summer essential for the budding sports and outdoor junkies. Irregular fun shapes have been emerging through the seriousness of fashion to add some animation to this season. Whilst Prada have embellished their mod 60s style thick rims with floral Asian blooms, Aldo goes 90s with their pixellated frames. 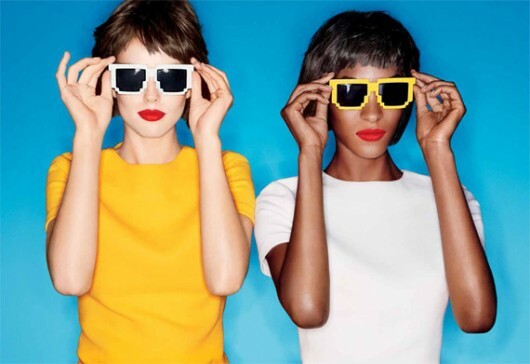 Hexagon shaped shades are a massive trend in all shapes and sizes whilst the Kate Spade’s lip shaped sunglasses are also fun yet maintain a classic look in black. 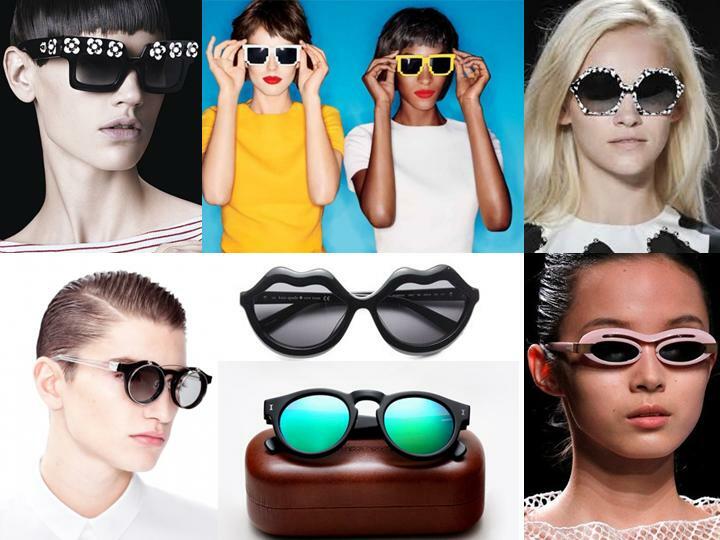 Moodboard (clockwise): Prada SS’13 , Aldo campaign SS ’13 , Diane Von Furstenberg SS ’13, Nina Ricci SS ’13, Illesteva Leonard SS13, Kris Van Assche eyewear SS ’13, Seanna lip shaped glasses by Kate Spade (centre).